It's amazing the national men's 7s team does as well as it does considering how the support structure has dwindled in so many places. The loss of OTP money is the most obvious example, also no national U18 7s championships this year and last year no University 7s championship. 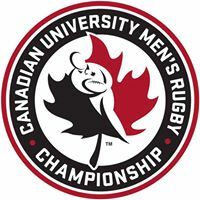 This year they're trying to revive the men's University championship but it's in Ontario in March and it looks like an Ontario/Quebec tournament with Saskatchewan sending two teams. UBC and UVic have shared the national University 7s title since its inception in 2011 but this year won't be travelling east to defend the title vacated in 2017. That's the year Andrew Coe was tournament MVP as UBC wrestled the title from UVic. Both teams play XVs in the BC Premier league in March and they had enough talent to split their squads when the tournament was held in BC but it seems there's no interest or budget to travel to Kingston in March where historical temperatures have been +3 in the daytime and -5 at night (March 22nd). There's no live stream of the event, it's an admirable effort but a step down from the 2011-2017 events. You look south of the border and they've been going the other direction, their 2019 Collegiate 7s tournament is televised on ESPN and well sponsored. It's held May 31st to June 2nd in an 18,000 seat stadium in Philadelphia. It's been going from strength to strength since 2010. The Cal Bears have been perennial winners with Lindenwood winning last year. UBC, of course, have a strong rivalry with the Cal Bears in XVs and likely either UVic or UBC would be final contenders if they were invited to the USA 7s tournament (and players made themselves available outside the school term). At the present USA are ranked #1 in the world in the 7s series, Canada 12th. When you compare the supporting infrastructures at the collegiate level it shouldn't come as a shock to anyone. As for the national U18's that were cancelled this year, where are the provincial U18 7s teams going? Florida and Utah likely this year, that's where the big tournaments are. It would be nice to see some investment in the Canadian 7s tournament infrastructure. Rugby Canada made it clear last year that they were putting all their eggs in the XVs basket when it came to the men. They make a lot of money off the Vancouver 7s, how about investing some of that back into 7s development? The 2019 Canadian University Rugby Sevens Championships will be hosted on March 22-24th by the Royal Military College of Canada (RMC) in Kingston, Ontario. 12 men’s teams and 16 women’s teams from schools across the country will go head-to-head over the two days of competition. The men’s pool play will take place on Friday with playoff matches on the Saturday. The women’s competition will begin on the Saturday and finish Sunday evening. “We are extremely proud to be hosting the University Sevens Championships at RMC,” RMC Director of Athletics Darren Cates said. Supported by Own the Podium and the Canadian Rugby Foundation, the tournament serves as a talent identification opportunity for Rugby Canada’s National teams and gives young athletes a chance to compete against the best in the country. “It’s crucial for the growth of our programs to have competitive sevens rugby at the university level. The Championships are a great I.D. tool for us and an awesome opportunity for our pathway players to compete.” said National Senior Women’s Sevens head coach John Tait. There will be no live stream for the tournament, but fans can follow the RMC Paladins accounts on Facebook, Twitter, and Instagram for updates and the Rugby Canada social media channels and rugby.ca for score recaps and further updates.